Novi, MI (November 13, 2018) Visualization software can enhance the user experience, change the way suppliers merchandise their products and expand the user audience. Chameleon Power, the visualization software leader across 2D, 3D, VR (Virtual Reality) and AR (Augmented Reality) platforms, has launched next generation visualization technology that enhances outdoor design. Based on proprietary Chameleon technology, the 3D Repro™ Tool with MultiView capabilities combines photorealism with a powerful 3D visualizer to assist landscape and hardscape designers through the design process. The MultiView feature creates a panoramic outcome within a series of photos. The user has the ability to view design ideas from the angle at which each photo was taken to ensure maximum visibility of a design space and ensure that any potential purchases made will fit perfect in the design space. The 3D Repro™ with MultiView Tool speed up sales conversions by allowing customers to completely design, manipulate and experience design choices in a life-like digital environment. 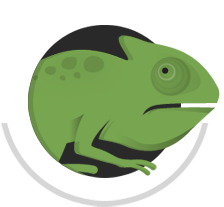 Chameleon Power technologies increase conversion rates by as much as 75%.